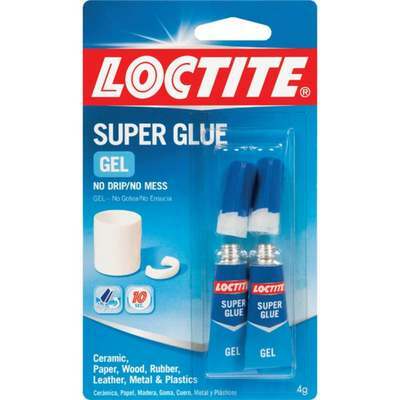 Proven superior performance over ordinary super glues. Works faster and holds stronger on more surfaces than ordinary instant adhesives. No drip, no mess formula. Works on a variety of porous and non-porous surfaces and is ideal for vertical applications and small gaps. Dries clear and sets without clamping. Resistant to moisture, most chemicals and freezing temperatures. For use on metal, leather, wood, paper, rubber, china, ceramic, and most plastics.